For their project, Cycles, Ramos and Ung created a documentary-style animated short based on the oral histories of residents living in Jersey City, New Jersey and Woodside, Queens. Jiny Ung is a mixed media artist with a background in political science, teaching, and fine arts. She is the recipient of the 2007 Young Artists Grant and the 2008 Artist Fellowship Program from the DC Commission on the Arts & Humanities. As a duo, Hanalei and Jiny participated in Project Row Houses’ Artist Rounds program where they installed “Intertwined” – a collaborative project that adapted stories, images, and historical artifacts contributed by residents of Houston’s Third Ward into a house-sized installation. 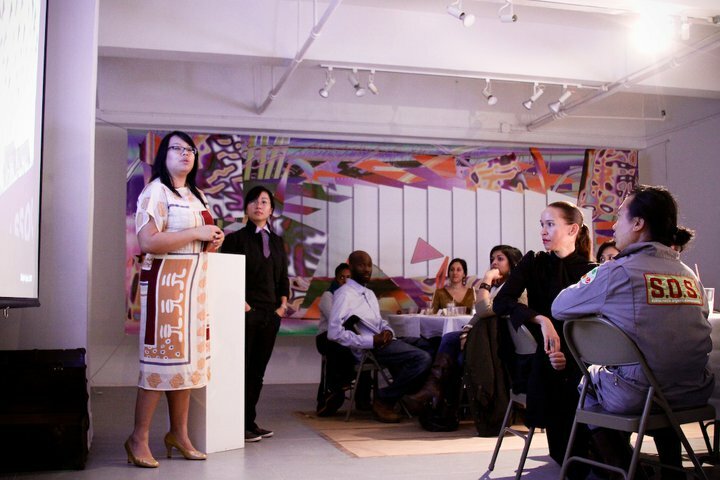 Ramos and Ung are recent recipients of a completion grant from the Asian Women’s Giving Circle to film, edit, and distribute their LP residency project Cycles.